Scallop and butter make such a beautiful combination, and it's not limited to western-style cuisine. In Japanese cooking, these two ingredients are often used together with one more (our national) ingredient...yes, soy sauce. Scallops cooked with soy-butter flavor is classic especially in Hokkaido. So, I made a donabe rice dish by using the magical combo of these three ingredients. 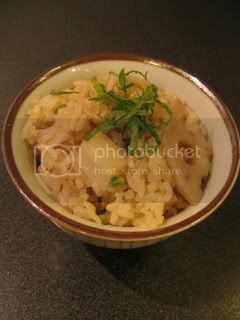 I used jumbo scallops for this dish, and they infuse so much umami flavor for the rice. 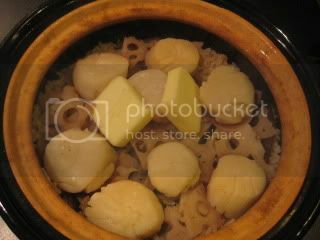 For this dish, I used 3 rice-cup size double-lid donabe rice cooker, "Kamado-san". 1. Season the scallops with the salt. Refrigerate (no cover is necessary) for 30 minutes. 2. Peel the lotus root and slice into 1/8" (3 mm) thickness crosswise. Further cut into quarters. Soak in cold water for 3-5 minutes and drain. Set aside. 3. In Kamado-san, combine the rice with the water, sake, and soy sauce. Add the dry kelp on the top. 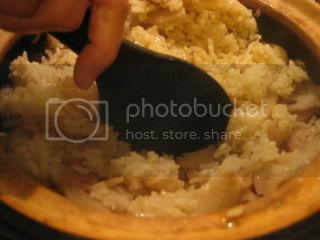 Let the rice soak in the liquid for 20-30 minutes. 4. 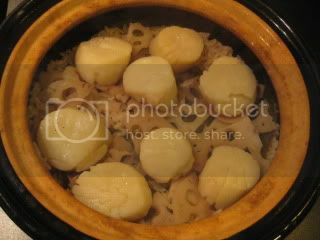 Add the lotus root and spread evenly on the surface. 5. 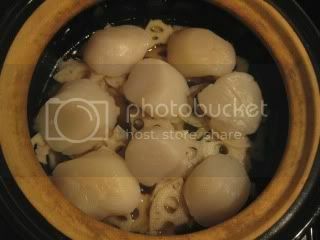 Pat-dry the scallops with a paper towel and arrange on top of the lotus root. 6. Cover with both lids and cook over medium-high heat for 13-15 minutes. Turn off the heat and let it rest for 20 minutes. 7. Uncover and remove the dry kelp. Add the butter. By using a rice paddle, coarsely break the scallops and fluff with the rice until the butter is completely melted. Garnish with thinly-sliced scallion. 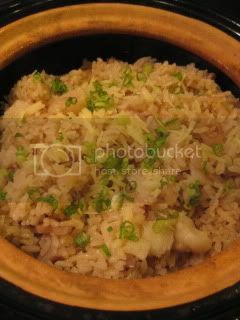 The aroma of this rice dish was so incredible and the flavor was so pure and great. Scallops were so sweet. This dish pairs super nicely with Champagne, especially highly-minerally Blanc de Blancs (100% Chardonnay). 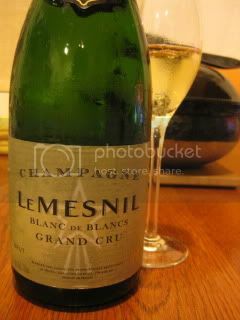 We had Le Mesnil Champagne Grand Cru Brut with this dish. Merry Christmas and Happy donabe life.